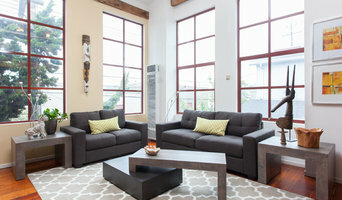 MO Design is a Home Staging and Interior design business based in Marin County, California. By integrating style and texture with a splash of color, MO Designs can transform a house to a home. The style is timeless. The texture is interesting. The color is personal. Whether you are looking to sell your house and want to maximize it's value or you want to update your existing home, we specialize in creating a clean, fresh interior which highlights the space and reflects a distinctive lifestyle. Chic Home Interiors is your best home staging resource. We do real estate staging in San Francisco's East Bay and will take your home from "homey" to that "WOW” home buyers aspire to live in! Our house staging services will ensure your listing will end up on buyer's "must see in person" list when viewed on real estate sites like Zillow & Redfin! And once they actually tour the home, they will think, "I want to live like this!" Our founder & chief designer, Joanne O'Donnell, is a nationally recognized expert in home staging and has developed and implemented training for home stagers throughout North America. Let her bring that expertise to your home! We work with home sellers, real estate agents and brokers, and house flippers. 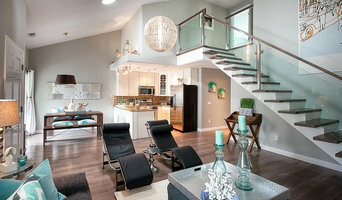 Chic Home Interiors stages vacant homes, occupied homes, and real estate investment properties. Let Chic Home Interiors help you prepare your house for sale and get the highest return on your investment! Our company name tells you who we are and what to expect from us. Webster defines Chic as “smart elegance and sophistication”. Chic is your partner in the sale of your home, ensuring you get the greatest possible return on your equity. We stage hundreds of homes each year and have the inventory and bandwidth to make sure your home looks like it is our only priority! At Center Stage Design we love helping clients and real estate agents maximize the equity in their property by beautifully staging the home to appeal to buyers and help them envision themselves living there! Professionally staged homes generally sell faster and for a higher price. We recognize that every home is unique in its style and features. By utilizing the proper furnishings, accesssories and placement we consistently achieve winning results! Let Center Stage Design help you showcase your property! Kathy Burke moved from a highly successful career as a Senior Vice President with Wells Fargo Bank to creating a premier home staging business in the East Bay: Sensational Home Staging. After early retirement from finance, Kathy saw an opportunity to merge her creative design skills with her strong business sense and customer service background. Bringing these skills to the newly emerging field of home staging has been key to her success. 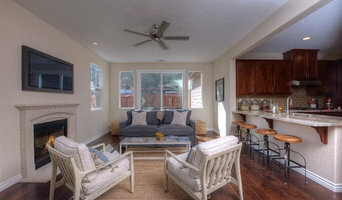 Kathy has transformed homes throughout the East Bay since 2005 using a contemporary style and elegance. Home Staging is about appealing to the buyer’s emotional response and creating a sense of must have. Sensational Home Staging’s focus is to set the stage with a stunning installation making a home showroom perfect and ready for market! Our award winning staging and years of experience in creating Contemporary Style and Sophistication will ensure your home stands out to potential buyers. We specialize in Home Staging for both Occupied and Vacant homes and offering comprehensive Home Staging Consultations that will benefit any home prior to going on the market. LaShawn Holden McKinzie is a licensed realtor in the State of California and owner and Creative Director for Accents Home Staging and Re-Design. She attended the Fashion Institute of Design and Merchandising where she studied Visual Design and Display and later went on to obtain a BA degree in Business Marketing Management. She has over 20 years of experience in many aspects of the "design" field, such as graphic design, event and wedding design, gift design, and of course, interior design. She is a registered member of RESA (Real Estate Staging Association) and CAR (California Association of Realtors). After staging a property for her husband, a Bay Area real estate investor, LaShawn received an overwhelming response and numerous requests for staging services from local realtors who had viewed the property. Thus, Accents Home Staging and Re-Design was born! Accents is a full service real estate staging and interior design firm proudly servicing the San Francisco Bay Area. We work closely with real estate professionals, investors and homeowners to create designs that are proven to sell their listings faster. You only get one chance to make a great first impression and our goal at Accents Home Staging, is to transform your home into a tranquil living space that potential buyers can visualize themselves living in. We also help homeowners revive their current living spaces which in turn reignites the reasons why they first fell in love with their home. Design is our passion, and we are passionate about helping you create undeniably beautiful living spaces. Make Your House A Home is a locally owned, family operated business. We serve our clients with the highest level of professionalism and unsurpassed Customer Service. We are in the business of First Impressions where our goal is to showcase your home to prospective buyers to get you top dollar in the shortest amount of time. Your Home Staging Expert! Denise Frye has combined her 30 years in Customer Service, Marketing & Sales with a lifelong passion and love for all things Home! She has created an innovative company geared to help Home Owners, Home Sellers and Real Estate Agents. Her talent, experience and training have come together to create, design and implement solutions tailored to stage your home to appeal to the majority of buyers. Denise has the amazing ability to educate and ease homeowners through the emotional & sometimes stressful process of preparing their home for sale. Paula McDougall retired from a successful advertising career to pursue her passion for staging and home interior design. She brings to her new company, Stoney Rose Designs, a design background from Fashion Institute of Design and Merchandising (FIDM), BS in Management from Saint Mary's College as well as styling and staging experience working with local realtors and friends in the East Bay since 2014. Paula's unique skill to evaluate each home's individual style and incorporate design ideas that appeal to home buyers in today's market has resulted in above average home sales. Stoney Rose Designs is dedicated to showcase each home with design and style solutions that homeowners will want to "love, list and sell" and buyers will find irresistible! Casa di Vita has been staging homes in the Bay Area since 2000, working with Realtors and Sellers to make sure your property is shown at its best! Helping your home appeal to as many buyers as possible to sell fast and for the highest price is our goal. What does a Hercules home stager do? 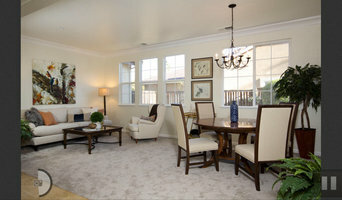 Home staging companies in Hercules, CA employ a variety of different techniques to present the home in the best light possible. The first step will likely be to make sure the home is impeccably clean, including the exterior of the house. Next the home stager will work on removing the personal touches that are unique to the current owners. Paint colors might go from dramatic reds and purples to neutral tones like beige and taupe, in order to appeal to the masses. The home will likely be cleared of family photos, risqué artwork, collections and knickknacks, so potential buyers will be able to better envision their own life in the house. In some cases furniture will be swapped out, and you might not even recognize your own house. Some Hercules home stagers tackle most of these tasks themselves, while others work with subcontractors and other professionals to get the job done. Here are some related professionals and vendors to complement the work of home stagers: Interior Designers & Decorators, Photographers, Real Estate Agents. The process of staging a home can be difficult for some homeowners, especially when being asked to change things you’ve poured your heart and soul into over the years; but try not to take anything personally, as the stager only has your best interest in mind and no intention of insulting your personal taste. Before you contact a professional home staging company in Hercules, CA, make sure to consider a few things: Are you willing to change your home and take the advice of this professional to help sell your house? Do you think your house would greatly benefit from the help of a stager? How long are you comfortable having your home on the market? A staged home is likely to sell faster and, on occasion, at a higher asking price than a non-staged home. While there is no guarantee this will always be the case, it’s often true and can make the entire selling and moving process a lot less stressful in the long run. If you are selling through a real estate agent, it’s a good idea to get their opinion on whether staging your home would be beneficial to your specific situation. Find a certified Hercules home stager on Houzz. Narrow your search in the Professionals section of the website to Hercules, CA home stagers. You can also look through Hercules, CA photos by style to find a room you like, then contact the professional who staged it.